She does not know what case is in question. The Security Service of Ukraine (SBU) and the Prosecutor-General's Office (PGO) are trying to search a flat of the former head of the Odesa customs, Yuliya Marushevska. "Employees of the SBU and the PGO are trying to search my flat while I'm on a foreign trip as a speaker for Freedom Forum. They came within a criminal case I have no idea about," she said on Facebook. Roman Bakhovskyy's place of residence is also being searched. He was in charge of the Open Customs Space in Odesa under Marushevska. "I view it as pressure by the incumbent authorities and reaction to yesterday's detention of State Fiscal Service chief Roman Nasirov by the National Anticorruption Bureau of Ukraine. I would like to say I will not yield to pressure. The current authorities are repeating the Yanukovych regime's mistakes," she said. The PGO later said on its website that together with the SBU, it carried out over 60 simultaneous searches in Kyiv, Odesa and Lviv regions within a criminal case over the Odesa customs operations. According to the PGO, Odesa customs officers by collusion acted in the interest of third parties from November 2015 to November 2016 "creating conditions for filling in customs reports for imports of various groups of undervalued goods to Ukraine", thus inflicting around 6.92m hryvnyas in losses on the state. They are also suspected of accepting bribes. 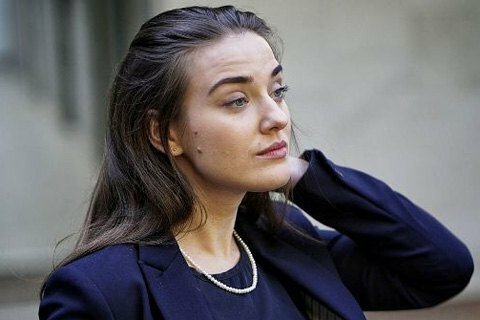 According to PGO spokesperson Larysa Sarhan, the law enforcers did not search Marushevska's place. Marushevska was probed on suspicion of corruption, Nasirov said in December. As it later turned out, there was an internal investigation the conclusions of which were sent to law enforcers.